Derrick Rose might be inactive on the ball court, but the Chicago Bulls MVP has kept his foot work in check: on the sneaker end that is. 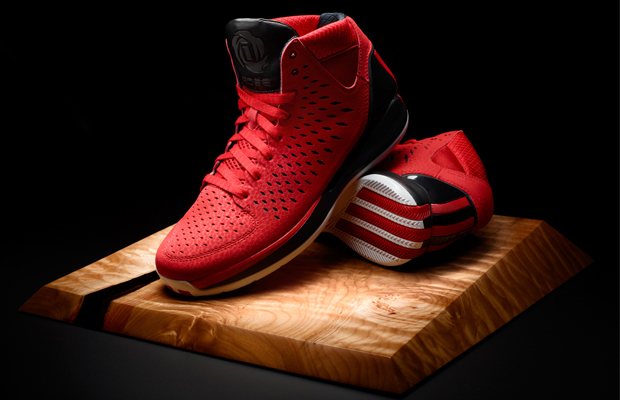 Since partnering with Adidas on his D Rose 3 line, the All-Star point guard’s been riding a hot streak with his b-ball kicks and has decided to pay tribute to his mother, Brenda Rose, with the release of the Rose 3 “Brenda” Edition. Design-wise, you’ll notice each tongue features a close-up print of the Rose family story graphic, which graces the D Rose apparel collection, along with inscriptions of “Brenda” found on the left tongue and Rose’s signature on the right.